Sowmya means sweet and gentle in Sanskrit, both qualities that she hopes and aspires to imbibe. She sees the world as a spiral of rainbow coloured chakras which strengthen with each day. Sowmya has a strong belief that she is here to serve the universe through love and empathy. This, she says, is her dharma (Sanskrit: duty/ responsibility/ life purpose). She began Prafull Oorja Charitable Foundation and Prafull Oorja Yoga Charitable Foundation. Prafull Oorja currently serves about 700 individuals each week in special needs schools, prison remand homes, trauma centres, and children homes in Bangalore, and expanding to Mumbai and Trivandrum during FY 2017-18. In 2018-19, we plan to expand further within India: Chennai, Delhi, Pune, and Hyderabad, and rural areas in Karnataka and Maharashtra, reaching thousands of individuals to support them in healing and empowerment. They also have new opportunities to expand to Africa, Latin America, Europe, and the Middle East.Prior to Prafull Oorja, Sowmya worked and volunteered in NGOs in the US and India, on project management, people management, training and teaching. She completed an MA from United Nations University of Peace (2011), Costa Rica, in Environmental Security, focusing on Yoga, the Environment, and Domestic Violence; MA from University of Innsbruck (2011), Austria, in Peace building and Conflict Transformation, focusing on Yoga and Peacebuilding; BS from Santa Clara University (2000), California, in Sociology and Gerontology. 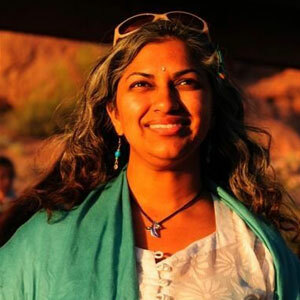 She has a Yoga Teacher Training Certification from Southwest Institute for Healing Arts (2009), Arizona, focusing on Restorative and Yin Yoga, though her true knowledge of yoga comes from lifetimes of living and learning yoga, and through growing up on the laps of saints, studying with monks, and in ashrams.